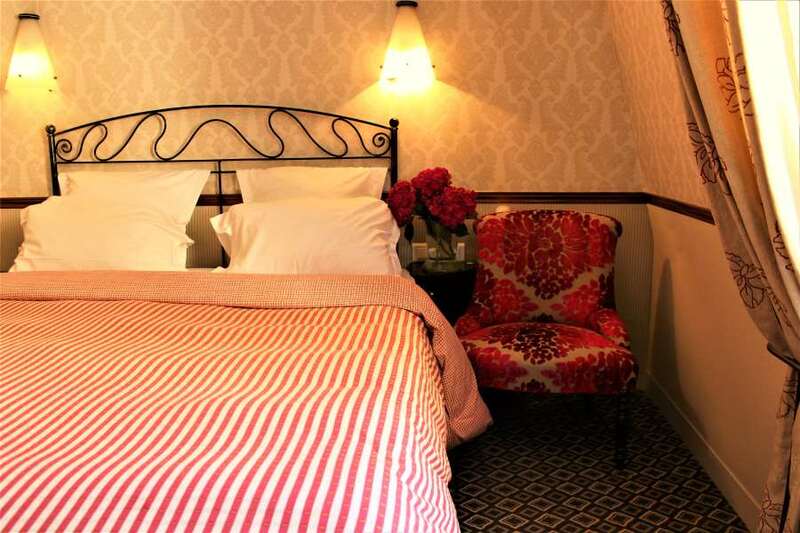 The Hotel Relais Saint Sulpice has 13 Classic Bedrooms on offer: they each have a double bed (140 or 160 x 200) or two single beds (80 x 200 cm). 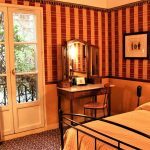 These rooms overlook the patio which is filled with calm and greenery with the exception of one room which gives on to the Saint Sulpice church. 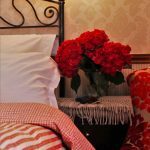 The bedrooms are about 16 sq.m. 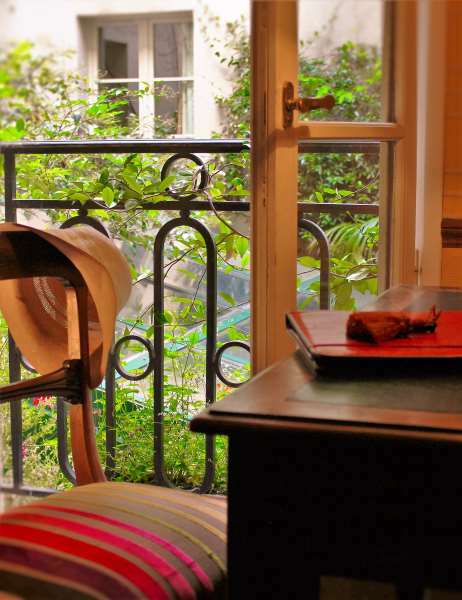 (a good size for hotel bedrooms in the heart of Saint Germain des Prés). 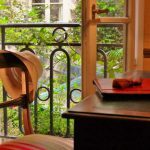 If you prefer a small unique hotel and want to be in the popular St Germain area of Paris this gem tucked behind the church of the same name is perfect. 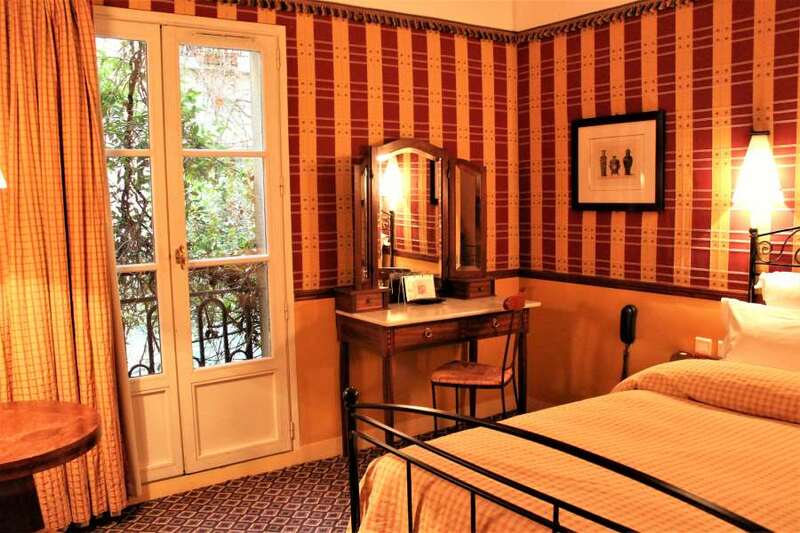 It is beautifully decorated with charm and has interesting touches such as wonderful floor tiles. 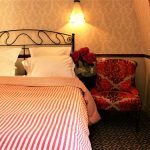 Most rooms open onto a lovely small courtyard filled with roses and vines around a very large sky light which is over the delightful breakfast room. 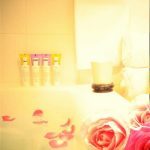 The bedrooms and bathroom are top notch not large but more than adequate and the staff was more than helpful. The hotel is within a short walking distance to some good shopping , great restaurants and public transit. 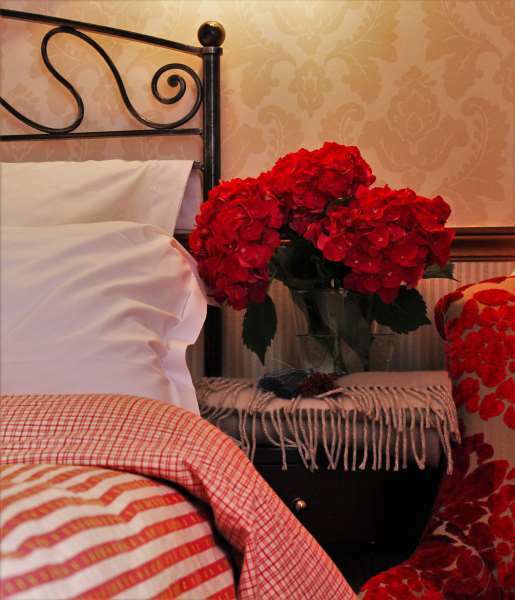 Great bed – great shower – very quiet – perfect for our 5 nights stay. Merci beaucoup !